The La Quinta Inn & Suites Pueblo has been awarded the 2018 TripAdvisor Certificate of Excellence award, and has earned this award consistently over the last 5 years. Located in the Valley of the Sun, the La Quinta Inn & Suites Pueblo is just minutes from Colorado State University Pueblo, Lake Pueblo State Park, Beacon Hill Speedway, and Pueblo Motorsports Park. We are the host hotel for the Colorado State Fair; stay here while attending functions at the Fairgrounds, including the ever-popular AA State High School Basketball Tournament and National Street Rod Association. Navigate the semi-desert terrain of Walking Stick Golf Course. Take a trip into town and enjoy the Historic Arkansas River Walk or the Pueblo Zoo. Or head out to the Royal Gorge Bridge, suspended 1053 feet above the raging Arkansas River (No fishing from bridge). 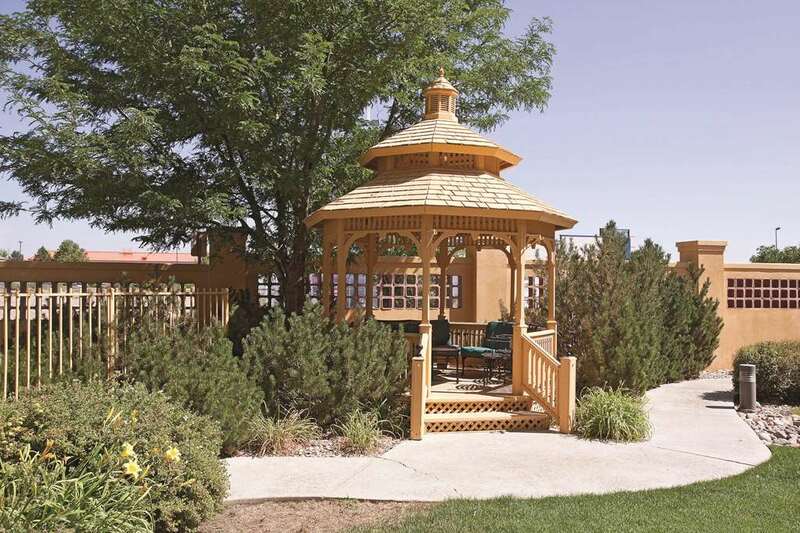 The La Quinta Inn & Suites Pueblo is centrally located to the Pueblo Convention Center, U.S. Forest Service, Trane Company, and Pueblo Chemical Depot. Start your day with a tasty Free Bright Side BreakfastTM provided by our friendly staff. Enjoy our fitness center and outdoor heated pool (seasonal May-September). All rooms include free high-speed Internet access. Exit 102 (Eagleridge) off I-25. Go west to Elizabeth North.